coffee. A great way to Bike to Work Week. Friday May 17th, 5:30 - 7 PM. at Davids Pizza. Pizza, beer and prizes. Come celebrate National Bike to Work Day! Celebrate Bike Everywhere Month in May, the perfect time to start or expand your cycling. Use the National Bike Challenge/LovetoRide site to log your riding in May. Ride for prizes and glory, either as an individual or in a team. 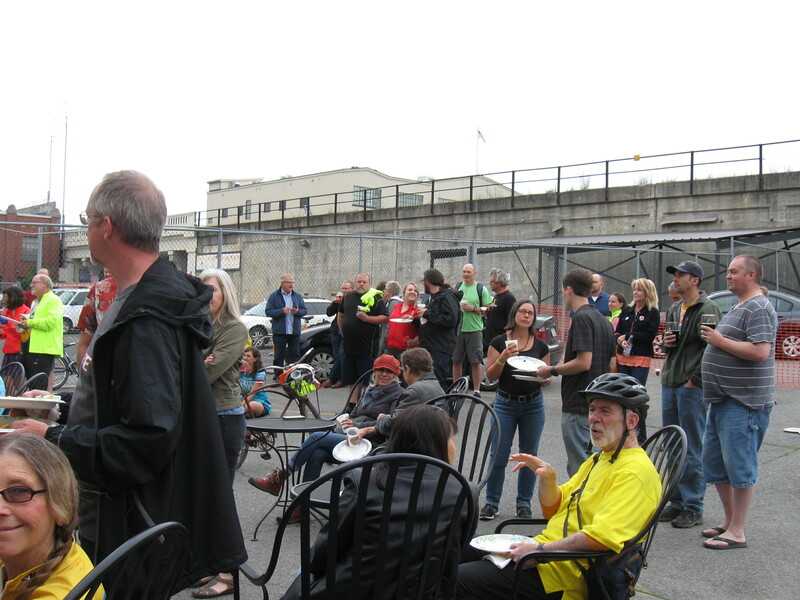 Enjoy a pancake feed with fellow cyclists, at Riverfront Park, on May 13th. Be invigorated at energizer stations around town on May 14th. All cyclists are invited to a beer and pizza party on May 17th. Other cycling-related events roll out all month long. Find details at 'Calendar'. See also tips on route-finding, safety, and help getting started with bike commuting. Challenge yourself to try something new on your bike during Bike Everywhere Month. Grocery shopping. A trip to the library. Taking the kids on a ride, commuting to work, or encouraging a friend to ride with you. 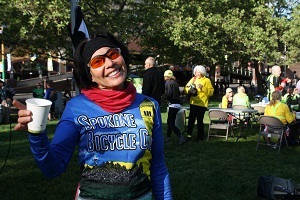 Let us know how it goes - email us at spokanebikes@gmail.com or post a photo on our Facebook page. Continue to enjoy cycling year round with the Spokane Bicycle Club – see our newsletter for ride listings. Non-members are enthusiastically welcomed.